Did you know that over 50 percent of all home fires occur during the months of December, January, and February? Many people are unaware that a majority of domestic fires in the United States occur during the coldest months of the winter. 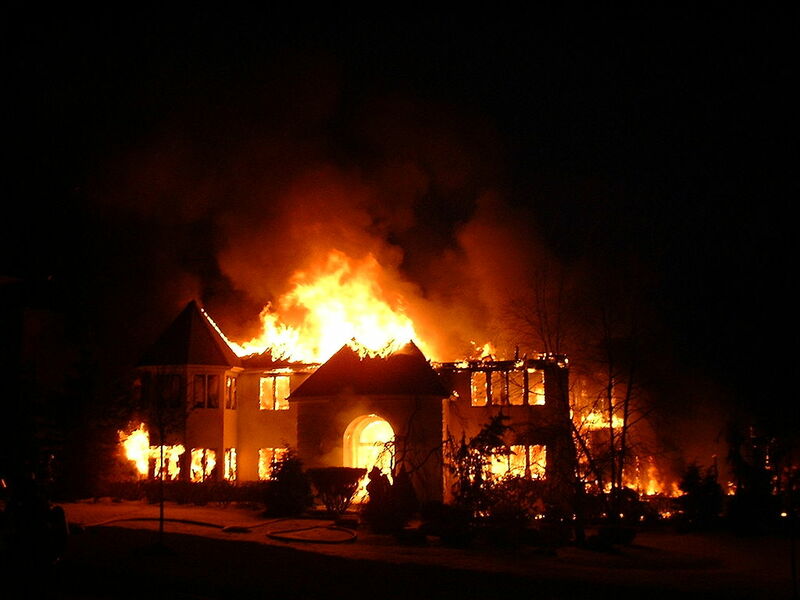 Home fires cause an average of 905 deaths each year. Continue reading to learn about the common causes of home fires and the steps you can take to keep you and your family safe against a dangerous winter fire. Just below 50 percent of domestic winter fires are linked to the improper use of heating equipment. Direct heating sources, such as fireplaces or space heaters, must be kept at least 5 feet away from any flammable object. Additionally, if you intend to light a fireplace during the winter, you should have the chimney and flue inspected. Soot and carbon deposits gather over time, which are highly flammable. Using direct heating sources improperly or not adequately maintaining them can put your home at risk. Protect your family by keeping smoke detectors in your home. It is recommended that you have at least one smoke detector on each level of your home. Test your smoke detectors on a monthly basis and keep extra batteries handy. If a smoke detector begins to beep it is an indication that the batteries are running low. You should replace them immediately. Do not wait. As an additional safety measure, you should institute an evacuation plan with your family and practice it routinely. If a home fire does occur, every second will matter. Implementing an evacuation plan ahead of time will help you and your family members feel calm and confident if a fire does happen to occur. If you have been hurt in a home fire or if your home has been severely damaged, it is important to speak with an experienced attorney right away. Call Van Norman Law today to schedule a consultation with one of our experienced and dedicated attorneys.